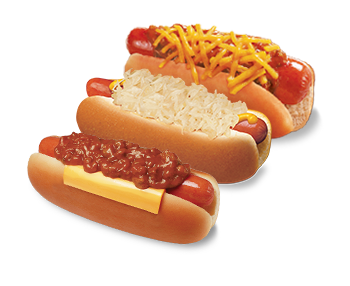 Enjoy Fast Food from a varied menu of delicious Hot Dogs, Sandwiches, French Fries, Breakfast Items, Drinks, and Desserts. Located at 2401 Ayers Street in Corpus Christi, TX on the corner of Ayers & Baldwin. Wienerschnitzel is the World’s Largest Hot Dog Chain with nearly 350 Locations and serving over 120 million hot dogs a year. Wienerschnitzel also serves amazing Shakes, Ice Cream Cones and Sundaes made from Tastee-Freez soft serve at most locations.